Last year my husband and I spent and incredible five months traveling around South America. Two of my favorite things to do were to visit the food markets to stock up on fresh produce (especially to sample some of the crazy fruits not found in Boston) and to shop for local crafts. Whatever town I was in, if I passed by a shop selling artesanías (crafts) I had to at least take a peek. I must have visited hundreds of little stores and craft markets in the time I was there. Well, Massachusetts isn’t quite South America. For one thing, it snows. A lot. And it’s cold for a good chunk of the year. And while we do have an incredible offering of farmer’s markets and craft shows, things slow down considerably during the winter months. But thankfully the Cambridge Winter Farmer’s Market is here to provide me with my much-needed weekly dose of fresh produce and locally-produced art. 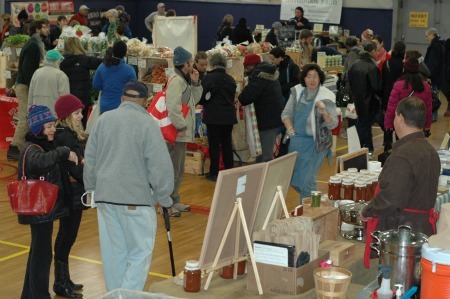 From January until April, every Saturday at the Cambridge Community Center you can stock up on New England-grown fruit, veggies, meat, cheese, honey...and even marshmallows! (Ok, so perhaps not everything is grown here, but you get the picture). 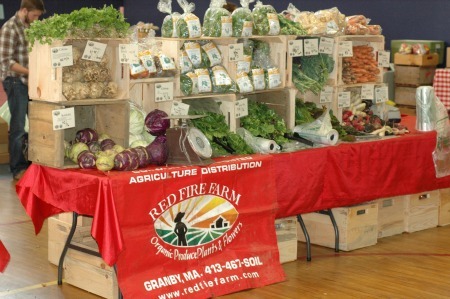 In addition to the food products, the Cambridge Winter Farmer’s Market offers entertainment and educational opportunities. From musical performances to learning how maple syrup is made, there is something for everyone. 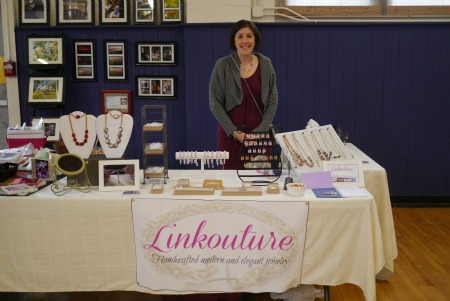 Additionally, you can find local handmade goods, including jewelry, photography, soaps, and bags. This upcoming Saturday*, I will be there selling my modern chainmaille jewelry, along with two other artisans selling jewelry, air plants, and handcrafted sculptures. So put on your snow boots or flip flops (this being New England, who knows what the weather will bring on Saturday) and come join me on Saturday for food, music, and handmade fun! *Can’t make it this Saturday? The market will be going until April 27th, and I will be there selling my jewelry again on April 20.